Mashed Potatoes. My favorite food in the entire world. Ask any member of my family. I request mashed potatoes for every birthday dinner, every holiday, and pretty much any occasion that I think they would be yummy with whatever else we are eating. I have been known to just eat an entire bowl of mashed potatoes for dinner. Like I said. Favorite. Food. EVER. So you can bet your bottom that I have perfected my own recipe for the creamiest most de-dang-licious mashed potatoes you will ever eat. This recipe is considered “primal” because of the use of dairy, however substitutes will be listed for a dairy-free version. *if you plan ahead of time, Paleo Cupboard has an awesome recipe for Paleo Sour Cream! Boil for about 8-10 minutes, until easily pierced with a fork. Add butter and sour cream, and blend with hand mixer on high until smooth. Mix in salt and pepper and serve. I will be the first to tell you that I am not a doctor, nor a nutritionist. I am not qualified to tell you what you may and may not eat. So there you have it. 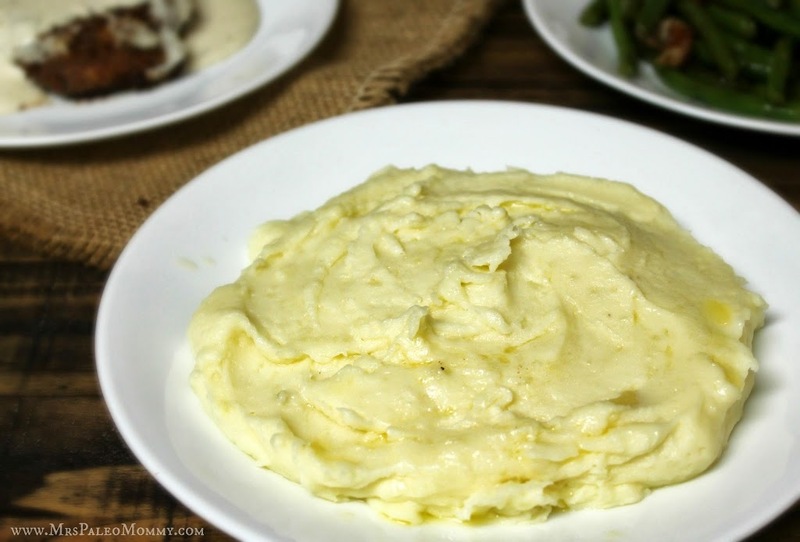 Mashed taters are one food I am very thankful to not have to give up!